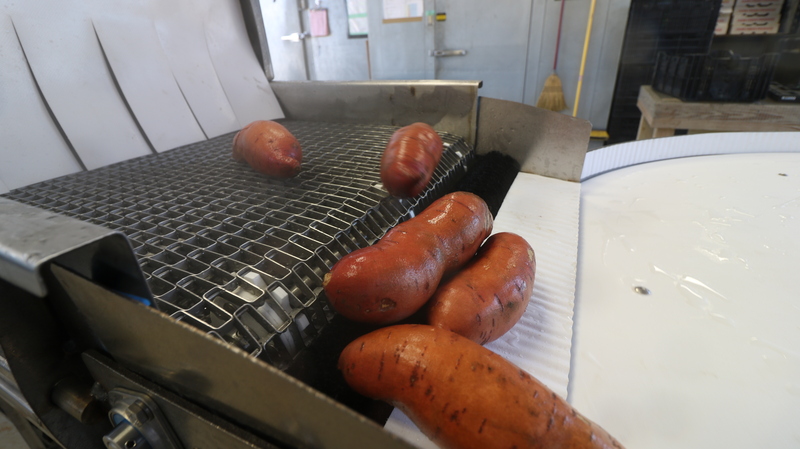 I had the opportunity to see an innovative piece of equipment designed for washing vegetables, and I think it might be a look into the future of improved food safety on many small-scale vegetable farms. 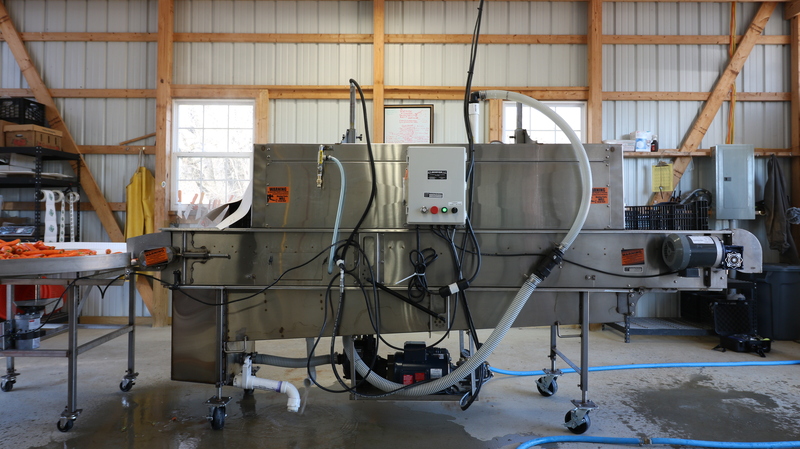 This wash line I got to check out is made by AZS who is an equipment manufacturing company in Emphrata PA. We had heard of this machine first from Jean-Paul Courtens (Roxbury Farm,) and saw via Instagram that Dave Paulk also recently got one at Sassafras Creek Farm. I happened to be down in Maryland attending the NECAFS Annual Meeting so I reached out to Dave while I was in the area to see if I could go take a look! Dave welcomed us to his farm and graciously gave us a complete demo of the AZS Rinse Conveyor. 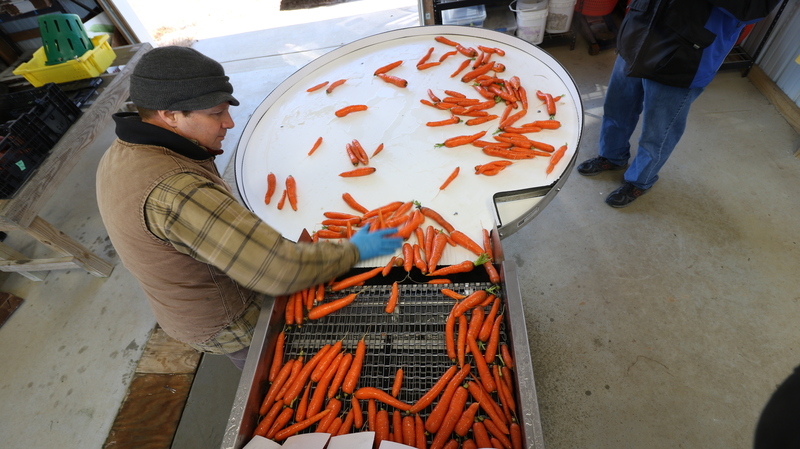 Knowing that other farmers in the small-scale vegetable operations are interested in this type of equipment, we took the opportunity to capture his review of the machine to share with others. Dave also walked through the in’s, out’s and details of how this thing works. He’s only had it for a few weeks at the time of our visit and fully understands how it all works, now he’s just dialing in the optimum settings of pressures, speeds, and water flow to provide the best performance and efficiencies on individual types of crops. Here is a link to the playlist of videos, the first couple explains how it works, then you get to see it in action, and at the end how easy it is to clean it up once you’re done for the day. Enjoy!